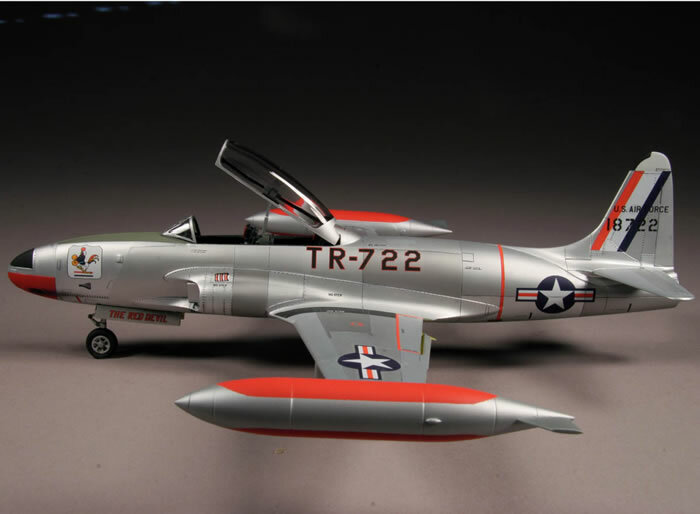 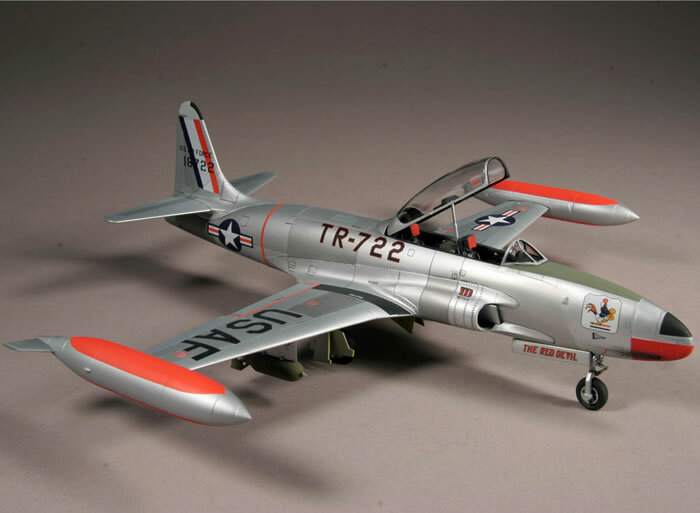 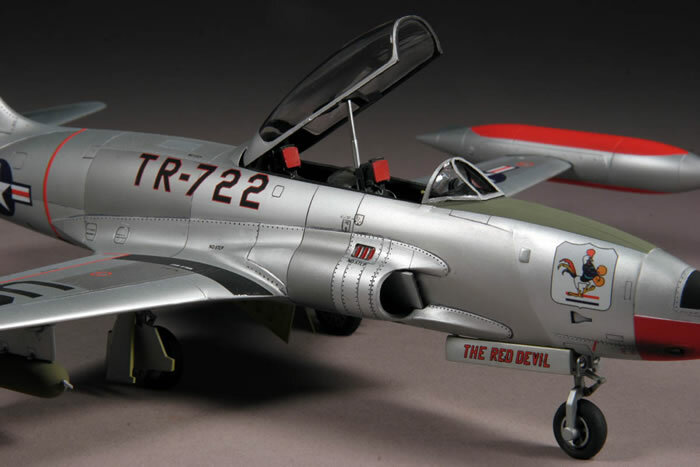 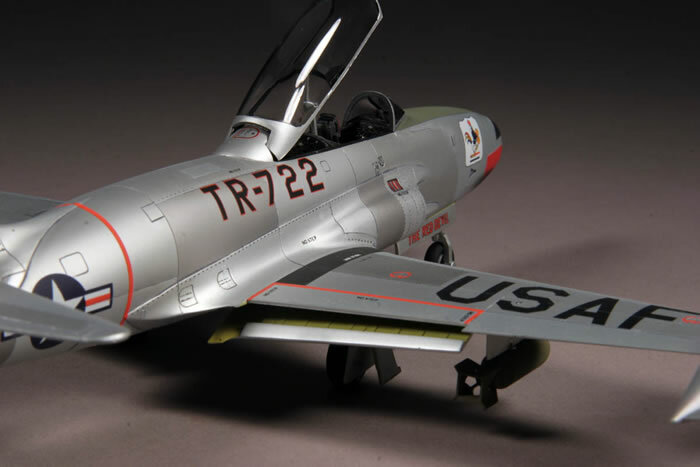 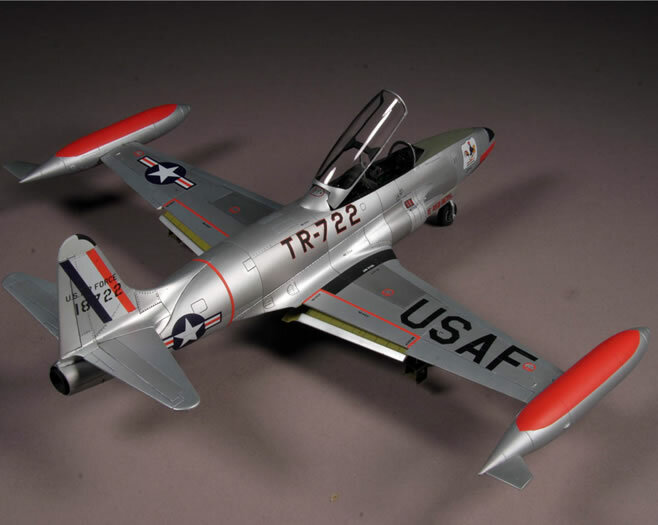 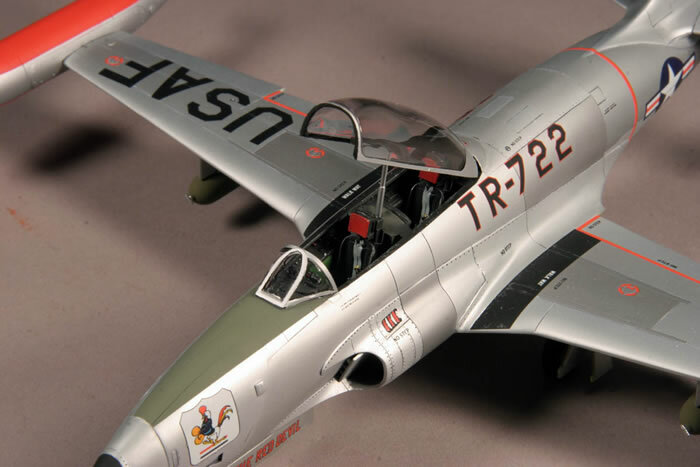 This 1/48 scale T-33A Shooting Star is the nice Academy kit. 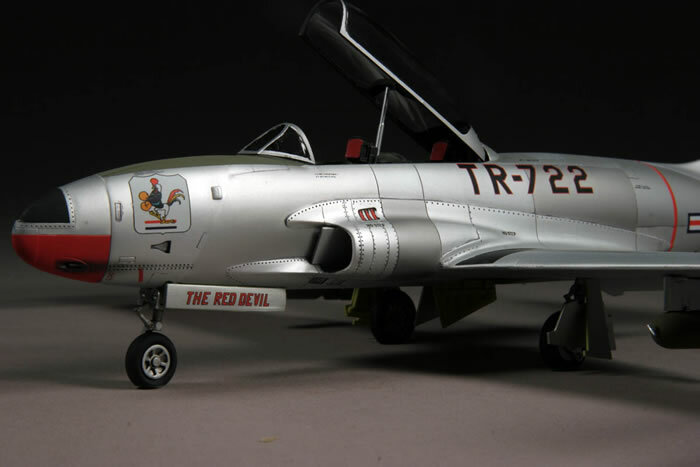 I used a True Details cockpit and bulged tires which really add to the appeal of the finished model. 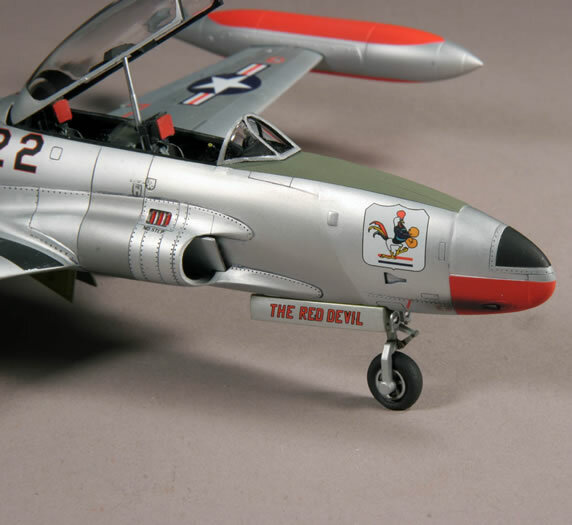 The model was completed with a coat of Testor's Dullcote to replicate a weathered wartime effect.